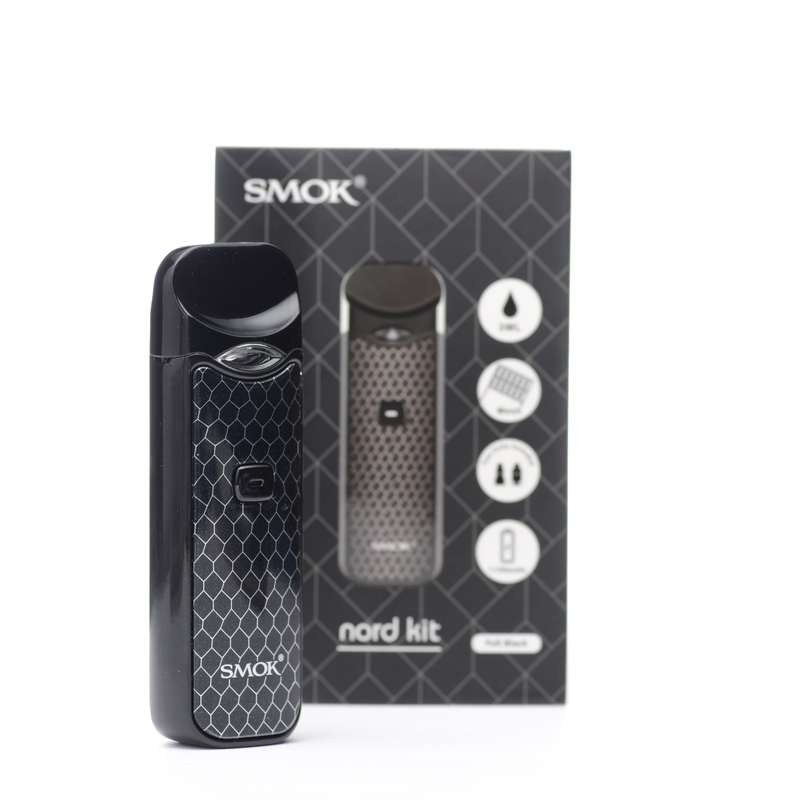 Smok Nord is the newest vape pod system in the series. At a glance, it looks like an improved version of the Novo that was released a couple of months back. It is a newly designed button-triggered pod system device that takes your vaping experience a notch higher. Also, it comes in 6 different colors for you to choose from. The main body of this starter kit has a cobra covered appearance that offers excellent and a wild look you need in a vaping kit. It has a compact and portable design that is extremely powerful and long-lasting. You get the best out of this vaping kit thanks to the two innovative coils. The Nord mesh 0.6Ω coil for massive cloud production and the Nord regular 1.4Ω coil for excellent MTL experience. Since it is small, it can fit ergonomically in your hand and with the newly added button, you get to begin your vaping anywhere and also provides information about the battery life. In addition, there is an e-liquid window to provide perfect convenience. The Nord is equipped with an internal battery with a capacity of 1100mAh which ensures longer vaping experience. It is a remarkable pod system vaping device. Ordered it online from Haze Smoke Shop. Shipping was super fast. Highly recommended. The quality of this product at this price is unbeatable. It is ultra portable and user friendly device.